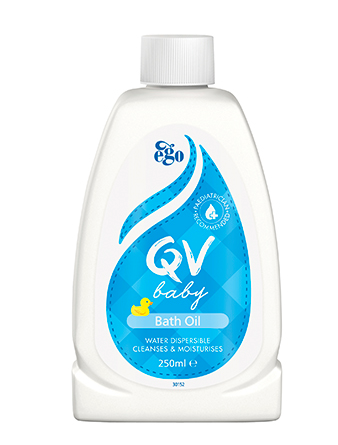 I was a little bit excited when I discovered that QV was doing a baby/kids range of body products. 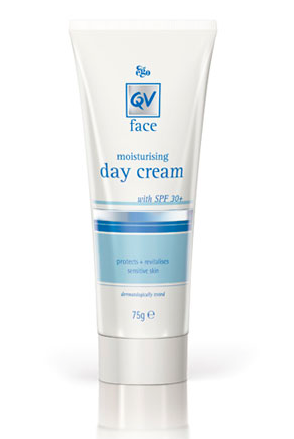 I was already a huge fan of their adult Face Moisturising Day cream and used it frequently on myself and my clients when I did their make up. It works on all skin types, has SPF 30+ protection, it’s pH-balanced, it’s low on the irritant, free from fragrance, colour and lanolin and isn’t greasy. The best part is that is available at practically any chemist and is super affordable. These are all ticks in my book! My little Archer (9 months) was experiencing some dry skin all over his back. It didn’t seem to be irritating him, but it was red, scaly and dry and no amount of moisturising seemed to fix it. That’s when I began to use the QV Kid’s range on him. I started with a couple of drops of the Baby Bath Oil in his warm bath. The water goes a little cloudy once the oil hits, but is smooth and feels lovely to the touch. Next, I washed him with the Baby Gentle Wash. Just a little squeeze on the hand, rub together to foam it up then wash all over the body. 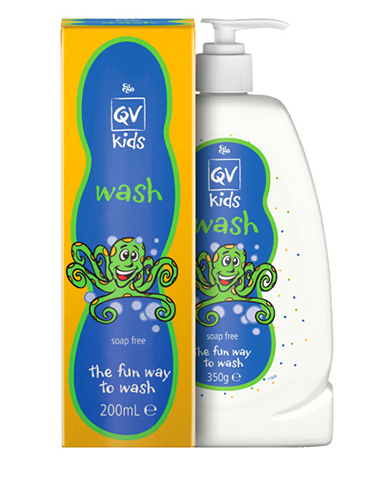 The great thing about this wash is that it is suitable to use on dry skin, eczema, dermatitis and psoriasis. I have friends with babies with cases of eczema and I know they have tried every product under the sun to not flair up the skin. The last step to the process is to use the Baby Moisturising Cream once baby is dry. The ingredience is formulated with Emollient, Humectant and Occludent. It also contains Squalane, a component found in the skin’s natural oil which helps seal in the skin’s own moisture. 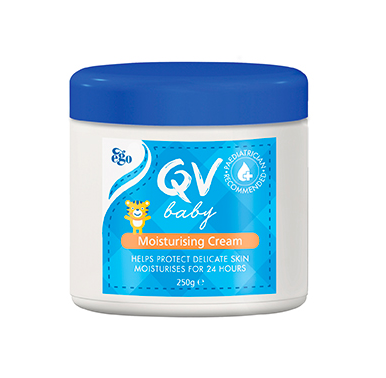 I love moisturising my babies – it give me a good chance to give them a little massage to help prepare them for a good nights sleep (most nights anyways!). Archer’s skin, needless to say, cleared up within a few days and was back to it’s perfect baby skin form! Not a trace of dryness or redness and it has remained perfect for months. Couldn’t be happier with the result. I also have a 2, almost 3 year old, Hudson that I use the Kids Wash on. 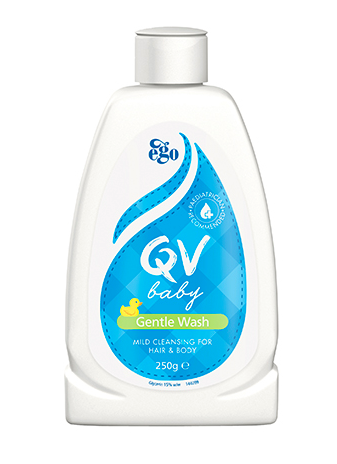 This is a lovely gentle wash foaming soap free cleanser which can be used morning and night. The best most fun part is that the wash has colourful microbeads which contain important vitamins A (retinyl palmitate) and E (tocopheryl acetate). He of course is not interested in the vitamins but he loves to count and point out the colourful beads to me then wash himself and see them all over his legs and arms!